Team Uganda: Nina Duckers, Angharad Rees and Grace Maycock with Richard Stephenson outside Dragons shop in Llanrhaeadr. This month three ex Llanfyllin High School pupils will be heading to Sabina school in Uganda, where teachers and students alike are embracing permaculture as a tool to aid learning and to build a climate smart school. Llanfyllin High School may not realize it, but three of their ex pupils are planning to work together on a ground breaking project at Sabina school in Uganda over the coming months. With a good 15 year age gap between the three, they did not know each other whilst at school, but there is enough in common to draw the three together and onto this project in post school years. Their work is a testament to the ongoing work of the school and the wider community to develop and maintain these essential international links that both broaden all of our horizons and remind us of the interconnected nature of the modern world. The opportunity has come about via a collaboration between locally based enterprise Sector39, Sabina school and Dolen Ffermio (Farming Link), also local and a charity with long-standing connections to the Llanfyllin High School. Dolen Ffermio go back to 1991 and began from the desire to link communities in the wider Llanfyllin area with communities in Uganda. The charity’s work now encompasses supporting orphan projects, facilitating links between schools and promoting environmental projects. 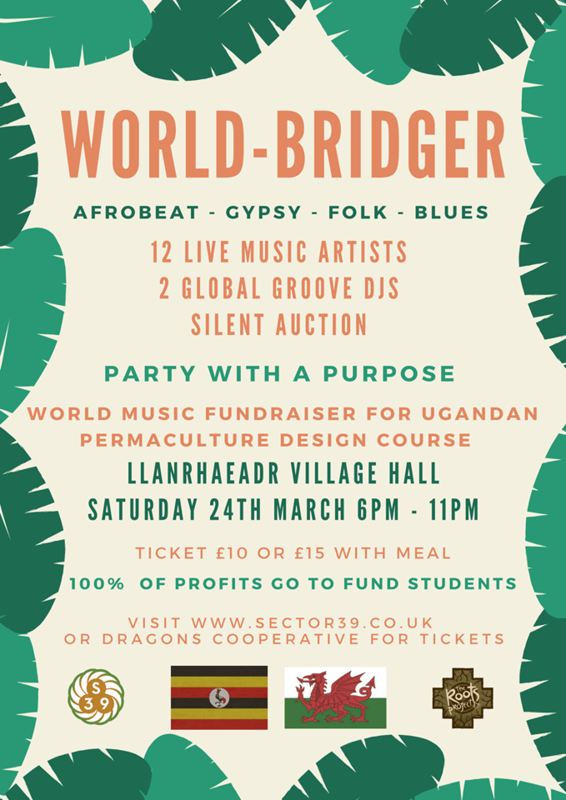 Mid-Wales based permaculture enterprise Sector39 have been expanding horizons by partnering with friends and colleagues both local and global. They had already started to work with Dolen Ffermio developing permaculture education in Uganda before launching The One School One Planet project here in Llanfyllin. This has drawn in and created links and partnerships between Wales and Africa, opening exciting new opportunities. Teachers and students alike are embracing permaculture at Sabina as a tool to aid learning and to build climate resilient food and energy systems for the school. Llanfyllin high school has also been working with One School One Planet project over the last 18 months to explore how to better embrace the challenges of the 21st century. More recently Sector39 have been approached by the Norwegian Refugee Council, requesting us to devise training packages for South Sudanese refugees entering Uganda from the North. Early surveys for this work will begin in April, and one of the tasks for the three ex-pupils wil be to meet and interview some of the trainees, helping assess the imapct of the work. So the connections grow! It will be fascinating to see what comes from it. 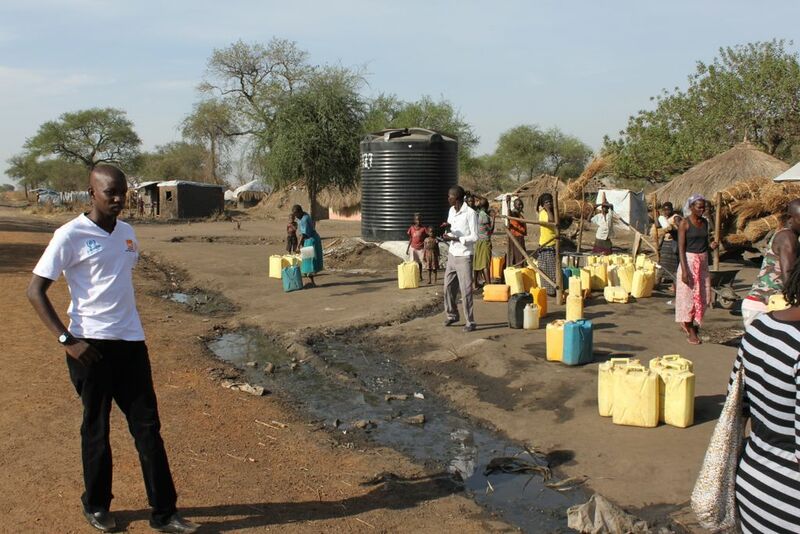 Its a hot arid area and water is trucked in daily from miles away on hastily built roads. Since visiting Adjumani, Jube and Zone 5 refugee settlement areas in Northern Uganda recently, I don’t think I will be quite the same person again. A huge influx of refugees has swamped the area with displaced people who in turn are having a devastating impact on the landscape. Whole forests are disappearing as wood is the only easily available source of energy and land is being rapidly prepared for crop production. There is an air of determination rather than desperation as people there come to grips with what is a hugely challenging situation. Who knew that Uganda accepted more refugees than any other country in the last 12 months? Over a million from Sudan alone! New arrivals are being invited to stay, offered ID cards, 30m square plots of land and basic tools and training to establish themselves along side host Ugandan communities. There are people flooding in from the Congo as well where resource fuelled wars (for minerals to make mobile phones) is also greatly impacting the region. It puts the UK’s 12,000 Syrian in-comers over 5 years into perspective somewhat. Sector39 have been invited to work with the Norwegian Refugee Council along side our local partners to put long-term train plan together to help the region transition from a food aid reliance to self reliance, a transition that will take 4 or 5 years. Naturally many Sudanese will choose to return home when the chance arrives but the likelihood is after 3 or 5 years of settlement Uganda will start to feel like home for a great many of the settlers. Next Steps Our next objective is to establish a training of teachers strategy which we are calling the Permaculture Academy. We have recognised the need to create literally millions of permaculture pioneers in Africa as well as across the world as this is possibly the most effective way to create climate resilience on a scale required of us by the Paris Agreement. 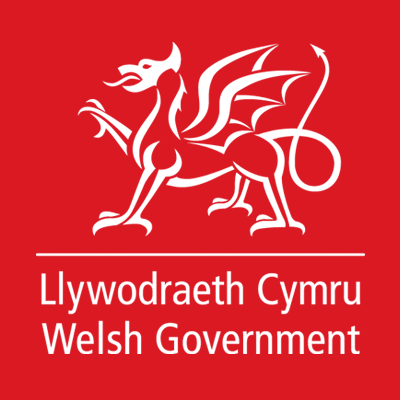 Sector39 have won support over the last year from the Welsh government to pioneer in this field and are grateful for the opportunities created by their help. Their investment of £10,000 into our enterprise has set a series of outcomes in motion. We have directly trained 25 students, via the full 2 week PDC course enabled by the grant. Since the course completed in June ’17 several of the graduates have progressed to start projects or initiatives of their own that are already having an impact. PermoAfrica centre, Paul Odiwor Ogola, Homa Bay Kenya. The next Sector39 course will also in clude several returning graduates on their way to become teachers and project leaders in their own right. More importantly perhaps though, is with the momentum created so far we have found ourselves in government offices, talking to budget heads and opinion forers, to head teachers, planners and politicians all of whom can see the immense value and potential of permaculture. This incredible opportunity to work with refugees and Norwegian programme has stemmed directly from the work supported by the Welsh Government as well as through networking and promotional activities in line with the grant makers requirements. The second PDC 2017 was in part funded by the Wales for Africa programme. and delivered through existing Wales/ Uganda support links. However through the process of the work and the huge number of people we have met in the process, we have come into contact with a great many of the permaculture practitioners and pioneers of the wider East African region. It is hugely exciting to think where this might all lead and we intend to use this momentum to reach a great many more people. Permaculture ethics, that’s easy right? Earth-care, People-care Fair share.. everyone knows the mantra, but do we remember what these things actually mean when we recite them parrot fashion? Recently I have seen on-line chat suggested they should be updated, improved if you will, the suggestion is that of Future-care being floated as an alternative to the Fair-share – which was always a bit lacking and the least understood of the three. But no Future-care really doesn’t do it for me and its inclusion would greatly impoverish the ethics model. Let us re-trace our footsteps a bit here and roll things back the 1992 and the Rio Earth summit when the ‘S’ word entered the lexicon in a much bigger way than it had ever been used before. Sustainability, they told us is the ability to meet the needs of the present without compromising the ability of future generations to meet their needs. Ok so far so good, then Toby Hemenway in his lecture, ‘How permaculture can save the world but not civilisation’ pointed out that the definition is lacking in that it fails to define what a need actually is and come to that, why are we putting meeting the needs of the present before that of the future? What is a need? Do you really need that cappuccino or another pair of shoes, when it comes to it, who gets to define what a need is? One man’s need is another man’s indulgence. If we are not careful we are back in the finger wagging judgemental territory most criticised of environmentalists who seem to want to tell everyone else what to do whilst at the same time alienating the vast majority of the population. Telling people they can’t have the stuff they feel they need or deserve or holding one’s own virtuous lifestyle up as some master template has yet to win over the masses. The ‘S’ word is fraught with difficulty and within a few short years of Rio we have governmental ministers talking about ‘sustainable growth the car industry’ or ‘sustainable economic growth’ or various other oxymoron’s, the word rapidly lost its meaning being hi-jacked left, right and centre to represent a vast swathe of viewpoints. Back to the drawing board then. Actually before we ditch the ‘S’ word entirely it has something of immense value to offer us and this emerged in the mid 90’s with the idea of the triple bottom line in business. This was environmental sustainability, social sustainability and economic sustainability. Sustainability is a three-legged stool is the metaphor and it needs all three to stand up. Yes to environment and society but what if we can’t afford it? How can we pursue goals that fail to endure economically? Somewhere in this lies the key to understanding the permaculture ethics especially the much maligned third ethic of fair-Shares. Full disclosure, I studied economics, not in its pure theory but within the context of sustainable development (yes that tricky ‘S’ word again) I studied economics and ecology at the same time and I have always understood that permaculture lies at the intersection of these two disciplines. Economics is about how we meet needs from available resources, ecology is about who we access those resources within an understanding of the mechanism of the living biosphere of which we are all a part. So balancing the needs of people and those of the planet; the earth and people care prospectively is the origin of the first two ethics. I think everyone gets that, some go further and say screw people, the planet comes first but that is a hard sell in today’s consumer paradise, I think most people are with us on the People and Planet aspiration but the key question as ever is how do we achieve this finely balanced mix. This is where the third ethic comes in to play and I strongly believe it is the key one.. you can take the first two ethics as read.. I really want to drill down into what this tricky third one is all about. Yes it is about economics, it is about choices, it is about priorities and the ‘Fair-share’ epithet doesn’t do it for me. It is a handy menomic for sure but it fails to convey meaning and sounds dangerously like a naïve socialist doctrine, leaving us once again with the challenge of who gets to decide what is fair exactly? Bil Mollison never explained it that way anyway, fair-share was a late arrival, an upstart if you will, one that could have come from a branding agency. The real meat on this bone is about setting limits to consumption, yes my friends at the heart of permaculture is the most radical idea of all, that there is such a thing as enough. In a world where consumerism is touted as an end in itself and conspicuous consumption is worn on the sleeve one might be forgiven for forgetting the setting limits to consumption bit, I guess this equates to fair-shares but still it goes so much deeper. David Holmgren can help us here, I refer you to principles three and four of his set of twelve. Principle four being about setting limits and three is about meeting needs, obtain a yield, ‘You can’t work on an empty stomach’. It is not in any way selfish to meet ones own needs, in fact it is essential, without breakfast you are no good to anyone, and can’t do a full day’s work. Anyone who has been on an airplane knows that in the safety demo they always tell you.. ’in the unlikely event of the cabin de-pressurizing an oxygen mask will descend, take care to put yours on first before assisting others’. There you have it, you might be a great altruist with only your fellow passengers’ concerns at heart, but at the moment you go blue in the face and pass out you are no good to anyone, in fact you are now a burden to those around you. Meeting one’s own needs first is the first rule of survival for all. It is not selfish it is self empowering. So with these ethics I would also argue we actually put them the wrong way round, from a permaculture perspective the process of empowerment and enabling positive change begins with meetings one’s own needs, whilst ensuring there is still a surplus for investment. This reinvestment of surplus turns out to be the key, the thing and most likely to be overlooked. The reinvestment of surplus is the how, it is the mechanism that empowers us to achieve the people and planet aspiration. The rule is you meet your own needs, settling limits and realising there is such a thing as a enough.. only you know what is enough for yourself and this should and can be constantly re-evaluated. Where we set the line for cappuccinos or shoes is a personal choice and no one should be telling us as individuals what to do. However we need to know that if we go into deficit meeting our supposed needs we will never have the faintest chance of being sustainable or doing permaculture effectively. Sustainability is the meeting of core needs whilst retaining a surplus for reinvestment back in the system. What we do with surplus is what defines us. I argue in my public speaking and teaching that what you choose to do with that bit left over after survival is the key decision each and everyone of us makes. Reinvestment of surplus in social and ecological ends guarantees a world of constant improvement, an expansion of possibilities, sticking it away in the Cayman Islands for some possible rainy day is the thing that drains the life blood of any system and constantly impoverishes it. We were chatting about this on Facebook recently and someone asked what if there is no surplus? Then of course the preconditions for sustainability in this case are not being met and changes have to be made, this rule holds true for all. If there is no surplus then changes must be made and a redesigning is in order. I am an enthusiastic advocate of co-operatives, they are vastly superior to a PLC and I will tell you why. PLC’s are owned by shareholders who appoint directors to maximise the return on investment. Profits are siphoned out of the company to channel towards personal ends, tax havens and consumerist endeavours. Co-operatives exist to benefit their customers, users and members and any surplus is used to reward loyalty and is reinvested in the co-operative so that it can continue to benefit its stakeholders. Co-ops reinvest surplus, PLCs extract it and put it elsewhere. This is the key difference and this is why to my mind Bill Mollison is absolutely right to state the ethics are.. set limits to consumption and reinvest surplus, for the enablement and betterment of other people, society and planet ie. people care and the environment. Put simply as an example I live in a housing cooperative, we set our rent at a level that covers our bills and responsibilities and returns a small surplus we can spend on improving the environmental performance of our home, insulation, heating etc. and allowing us to choose socially responsible alternatives for our food, services etc. So I am sorry if it does not scan as well, or make a great t-shirt but these are and will forever be the permaculture ethics.. saying future-care.. as I have seen proposed tells us nothing, it is already covered by the first two anyway. The third ethic gives us the mechanism by which to achieve our ambitions of not just sustainability but regeneration and genuinely sustainable growth; one that builds soil, stores water and nutrients and protects and enhances biodiversity, the very tools we need to sustain our own needs. We are holding a celebration in Llanrhaeadr Village hall 24th March. There will be food, music and of course excellent company for an evening of talking dancing and celebrating! Its also my 55th birthday. Please join the celebration! It has to be a good thing that permaculture has never been more in demand and Sector39 is finding opportunities in all sort of new areas. The big idea we have been working on for a few years now is that of a Permaculture Academy. On going teacher training and project facilitator development.. really its a mentoring process to develop new permaculture informed initiatives where we can. May this year we are running a PDC for 60 participants within an established school and permaculture site in Uganda, followed by a 2 day permaculture convergence. The intention is to launch the Academy and show case the best permaculture can offer to an invited audience and opinion former’s and budget heads, school heads and trustees. We are fundraising for student bursary fund, applications will be competitively assessed for the number of places available via successful fundraising. Your contributions really will change lives! Enjoyed this fantastic short video.Powefully simple demonstration of the capacity of biochar to absorb and retain moisture. I will be using this in future teaching sessions! Around the world people are facing up to the huge set of challenges of tackling climate change by addressing its many causes. Creating a sustainable food supply by transforming agriculture into a force for environmental restoration is at the heart of the response. Africa is ready for permaculture as it brings together environmental restoration, food security and local economy. Here in Wales are working closely with East African partners too significantly raise the profile of permaculture across the region. Partners from Uganda, Kenya and Rwanda are working with us to create first East Africa Convergence, following on from a 60 place PDC at Sabina school and orphanage in Central Uganda next May. We are linking pioneering education with food security, education, public health and government outreach. We are working with a key regional school as well as the ministry for education to create a learning hub for permaculture in Central Africa. We are open for donations, sponsorship, contributions in any form to help us make the event a huge success.